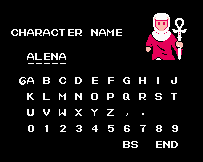 I suppose I’d know who the cleric was, if I’d started with her. I understand girls you can’t save, no matter what god they work for. You couldn't save her. Just like all the others, a million little boys who couldn't. Forgive yourself. As it happens, though, I didn’t. I started here. There. See. Now, what I knew in… 1988… sounds right… was that a cleric was another word for priest, and a priest was someone who worked for God. Just one problem. Fantasy didn’t have God. Oh, sure, there was a cross on Link’s shield, but there’d been one on He-Man’s armor, too, hadn’t there? Just a device, a heraldic symbol. Now, in 1989, someone conveniently introduced me to the pagan gods1, and they found their way right into my world of magic and elves2. 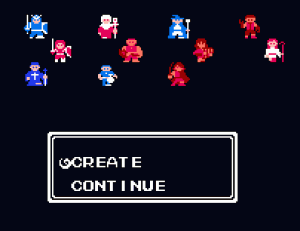 My carefully envisioned narrative-driven side-scroller had elves and Greek gods. Yet, Ultima had priests. Briefly. I was very glad when the next Ultima came around and got that fixed. Shrines, virtues, no gods. Very sensible, and I could continue being a bold maverick having Zeus meet the elves. I’d played Hero’s Quest by now, too, and read Lloyd Alexander, and while there were certainly hints of greater supernatural forces5, there was hardly a celestial hierarchy. Even King Arthur, well, God occasionally popped up in his life, but no priests. I’m not sure what they were all doing at the time, but he had a proper wizard to cast his spells for him, just like Pharoah had had.6 Fafhrd and the Gray Mouser had gods, and Lankhmar had a whole street devoted to them, but both the priests and the gods were more than a little silly. The holes filled, gradually — I was a weird kid, but hardly a dumb one, but my fantasy worlds never really had need of magic priests, even as they developed pantheons of their own. Even reading Moorcock and Lewis, the gods all took care of their own business. 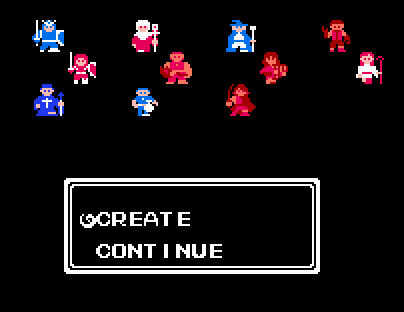 But in the better sort of fantasy video games, there never were priests. The Ultimas were neatly atheistic, and when they got around to coping with gods, in Pagan, it was in a very Star Trek way. Gods, fantasy said to me, better off without ’em, and their priests are all liars and idiots and just occasionally Theleb Kaarna. Yet, for some reason, there was always someone who wanted to play one in my games. Sometimes, they weren’t very serious — I’d heard of Bob, the God of Donkeys out there in another campaign. But all too often, they were devout worshipers of gods who never seemed good for anything except a daily spell allotment. Sometimes they were badasses. And he hung out with this hottie. Just saying. 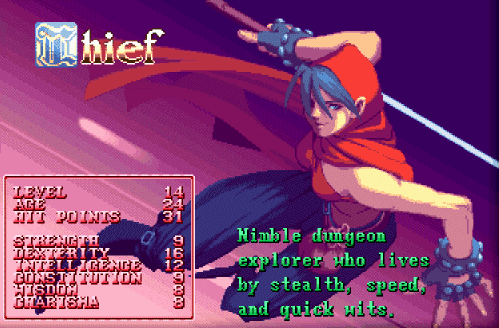 The first time I ever encountered a proper cleric adventurer was in college, as it turned out. Cabeza de Vaca, a Spanish officer who got lost in Florida, made his way to Mexico casting out demons and disease in the name of God, gaining and losing fellow soldiers and native adventurers along the way. And around that point, through that lens, the cleric started making sense to me. The cleric? He’s Moses. He’s Samuel9. He’s Martin de Porres. She’s Joan of Arc. ← Previous Previous post: Who Waits Forever, Anyway? And I’d have said Joan of Arc was a Vampire Slayer Paladin. Interesting that Craig should mention the Paladin. The original D&D made it clear that the Cleric was not “just” a priest, but a warrior-priest and explicitly mentions the Templars as inspiration. Other “fighting priests” like Bishop Turpin and Odo of Bayeux (incidentally, the man attributed with originating the “no edged/piercing weapons” legend) are also commonly cited. 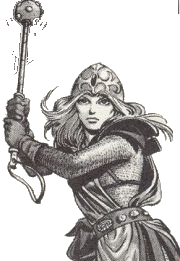 When the Paladin becomes part of the core rules (AD&D 1e), I feel the Cleric loses his post as the game’s archetypal divinely inspired warrior, and — while still a respetable combatant, mechanically — becomes “the priest” and little more. But if you’re willing to use both, and keep them distinct, I can see how Joan of Arc ends up the Paladin, being a peasant girl with no formal religious training and no ordination, who claims to be inspired directly by God. This is one of the reasons I need to get around to writing the class article about Tunnels & Trolls, because T&T carries many of D&D’s gameplay assumptions without most of its class design assumptions. For example, T&T also derives a class from the Mouser and Cugel… but this is a fighting man with a smattering of magical ability, rather than a wall-climbing, lock-picking thief. It has a warrior-wizard… but he’s explicitly a warrior-wizard, not a paladin or elf. T&T has combat healing… but it’s a choice available to wizards, not part of an extra class. As for the separation between the cleric and paladin… man, I don’t even know where to start with this one, except for weapon aesthetics. 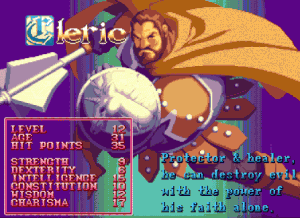 However, the paladin works fine for me as a quasi-secular champion of Law (Supplement I – Greyhawk) or an implicitly atheistic champion of Honor (Ultima IV+, Quest for Glory II+).